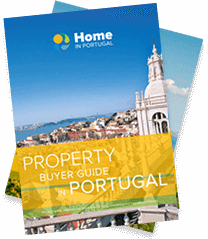 What are the taxes on property in Portugal? When you resell your property, you will be paying a tax of 25% (fixed rate) on the generated gains (positive difference between selling and purchasing prices). Acquisition taxes and fees apply to the purchasing price of the property, and the buyer is the party entitled to pay, as well as any registry and notarial expenses. There is no VAT on the acquisition of real estate in Portugal. Instead, there is IMT, a tax administered by the town hall. – Offshore: The tax rate is 10% (fixed), with no exemption or reduction applicable whenever the buyer is a resident in a country with a more favourable tax system. This tax has a wide incidence scope, comprehending all acts, contracts, documents, books, papers and other issues enumerated on the Stamp Tax Table. – On no-term warranties or with a 5 year or longer term (such as mortgages) – 0,6%. – On property goods of 1.000.000 euros or higher (registered value) – 1%, or 7,5% if the owner lives in a tax paradise. Note: All these taxes and corresponding tax rates are subject to annual variations. Talk to us for a simulation of your actual situation.